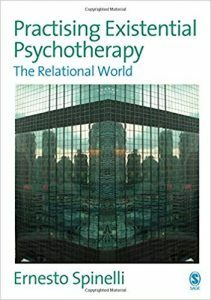 This new text by Ernesto Spinelli examines the unique qualities and possibilities of an existential approach to psychotherapy. Drawn from his own experience as an internationally recognised theorist, lecturer and practitioner, its overall aim is to provide a thorough and accessible explication of existential psychotherapy in practice. Beginning with an overview of the theoretical underpinnings and distinguishing features of existential psychotherapy, the text describes and develops a three-phase structural model for its practice.